Pleasing manner and willing to attend customers patience. 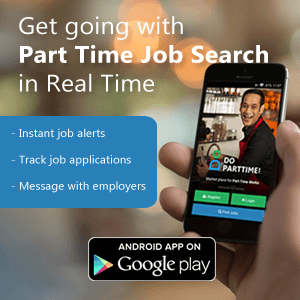 Register to get job alerts on new jobs. In DoPartTime, we validate the employer location, job details to be correct and existing at the time of posting. We have taken all reasonable steps to ensure that information on this site is authentic, with most care to avoid fake jobs and spam posts. Refer our Terms & Policies for details.